The loan process has gone paperless! You will now be completing your documents through Verification Connection after completing your SCHEDULED MANDATORY workshop. Please contact the Office of Financial to schedule your loan appointment. If you have questions regarding your loan status and specific situation, you must meet with a representative at the front counter at the Financial Aid Office or view your loan progress online. The workshop is a tutorial on how to complete your steps and submit your loan application online as well as information on federal student loan guidelines. Loan estimates will not be provided. You will request a rough estimate on your student loan request application and we will award you based on units enrolled, cost of attendance, financial aid you are receiving, Subsidized Usage Loan Applies (SULA), grade level, dependency status, and aggregate loan limits for subsidized and unsubsidized loans, but will not exceed your amount requested. You must attend the workshop any time you apply for a student loan with Bakersfield College. Direct Loans are low-interest loans for you and/or your parents to help pay for educational expenses. The lender for Direct Loans is the U.S. Department of Education rather than a bank or other financial institution. Loans are a form of financial aid that must be repaid with interest. You MUST have a valid FAFSA application for the year you intend to borrow loans. Dream Act applicants are not eligible for the Direct Loan program. Requires financial need, as determined by federal regulations; No interest is charged while a student is in school at least half-time, during the grace period, and during deferment periods. Payment due 6 months after graduation or dropping below half-time enrollment. Not based on financial need; interest is charged during all periods, even during the time a student is in school and during grace and deferment periods. Payment due 6 months after graduation or dropping below half-time enrollment. Must be the parent of a dependent student enrolled at least half-time; credit check is required; not based on financial need; interest charged during all periods, even during the time a student is in school and during grace and deferment periods. Payment due 60 days after final disbursement (may be deferred while student is enrolled at least half-time). All the above loan types have loan fees that are a percentage of the total loan amount. See Federal Student Aid's current loan fees. Your 2018-19 Financial Aid Awards must be finalized in order to apply for a Federal Direct Loan. You must be enrolled in at least 6 degree applicable units (excluding remedial units) in an eligible program of study at Bakersfield College. Wait listed courses do not count. Bakersfield College must be declared as your home school. You must maintain Satisfactory Academic Progress as outlined in the Terms of Agreement for Bakersfield College. You must have a declared major and educational goal and be following a Comprehensive Student Education Plan (CSEP). Students on Financial Aid Suspension are ineligible for Direct Loans. STUDENTS ON FINANCIAL AID WARNING OR WHO ARE APPROVED ON AN APPEAL SUSPENSION ARE REQUIRED TO SUBMIT A STUDENT PROGRESS REPORT SIGNED BY ALL INSTRUCTORS REFLECTING SATISFACTORY GRADES IN EACH COURSE BEFORE FUNDS WILL BE RELEASED. Avoid defaulting on your student loan! Don't Lose Your Tax Return! Are you past due on your federal student loans? 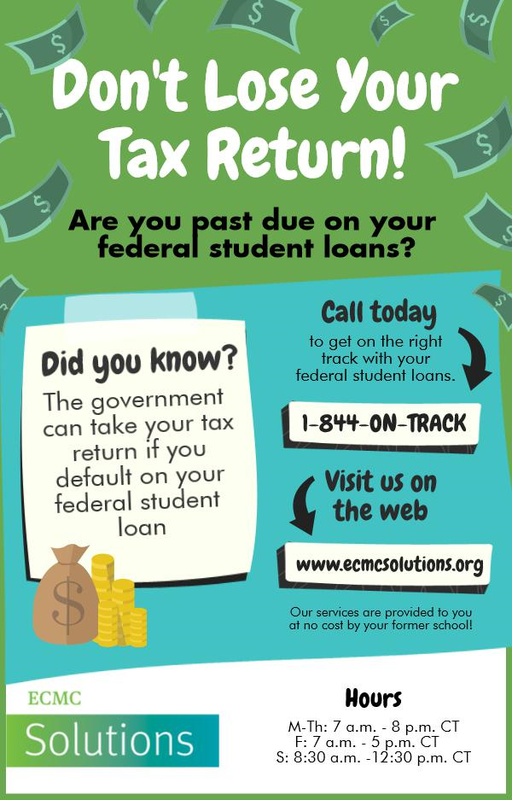 Call today to get on the right track-with your federal student loans at 1-844-ON-TRACK or visit ECMC Solutions. Our services are proviced to your at no cost by your former school! The government can take your tax return if you default on your federal student loan. There are options that may help you avoid loan default. Bakersfield College has teamed up with E.C.M.C. Solutions to provide student loan borrowers a resource to help you manage your educational loans. This service is FREE of charge and you can contact them regarding loan repayment advice, repayment plan options, forbearances and deferments, and loan forgiveness. 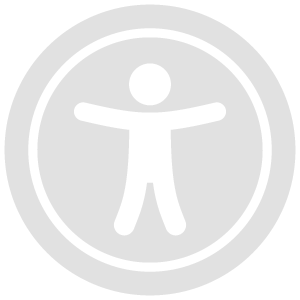 Contact E.C.M.C. Solutions by phone at 1-877-331-3262 or visit E.C.M.C. Solutions to connect through email or web chat with one of their counselors.